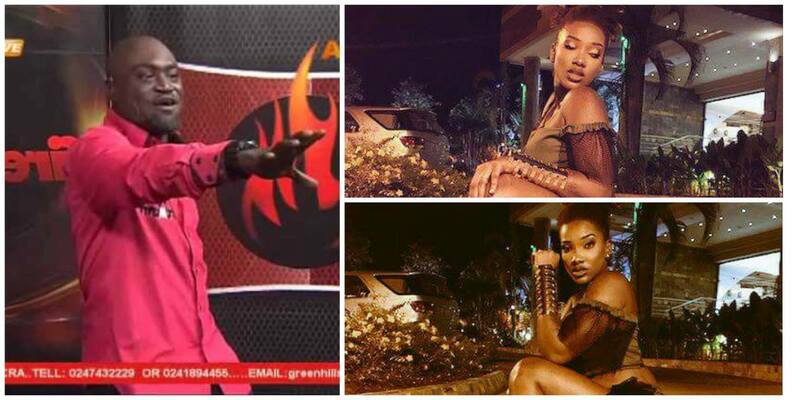 Newly crowned winner of RTP Sports Presenter of the Year Award, Countryman Songo, has openly declared his intentions to ‘fire’ dancehall sensation Ebony at an upcoming ‘Mamba Bash’ scheduled for November 10. The event which is aimed at celebrating Ghanaian music will take place at the Baba Yara Stadium in the Ashanti Region capital, Kumasi, will see top artistes mount the stage and entertain their patrons. Host of Adom TV’s afternoon sports show, ‘Fire for Fire’, Patrick Osei Agyemang, popularly known as Countryman Songo” in a promo video did not hide his feeling of affection for Ebony, the ‘Sponsor’ hit singer. The ‘Fire Man’ said one of his motivations to show up at the programme is to meet Priscilla Opoku-Kwarteng known in entertainment circle as Ebony Reigns, and “fire” her. The Mamba Bash is powered by Prazzy Entertainment and sponsored by Mamba Energy drink and partnered by a host of media organisations in the Ashanti Region.